The restaurant is relaxed and informal, with an emphasis placed upon providing a varied menu selection to cater for all tastes at reasonable prices. We offer breakfast and lunch, with an all-day breakfast served each Friday. Our regular hot lunch options include meat, vegetarian and gluten free options, seasonal specials and a choice of delicious hot and cold desserts. We also serve hot soup every day from October to May. Breakfast: Served from 8.30am to 10.30am daily. On Fridays, we serve a full English Breakfast from 8.30am to 1.30pm. Our Manor House Café is more than just a coffee lounge – it’s a meeting place. Whatever time of day, pop in for freshly ground coffee and take a few minutes out of your schedule to relax. There is also free WiFi. 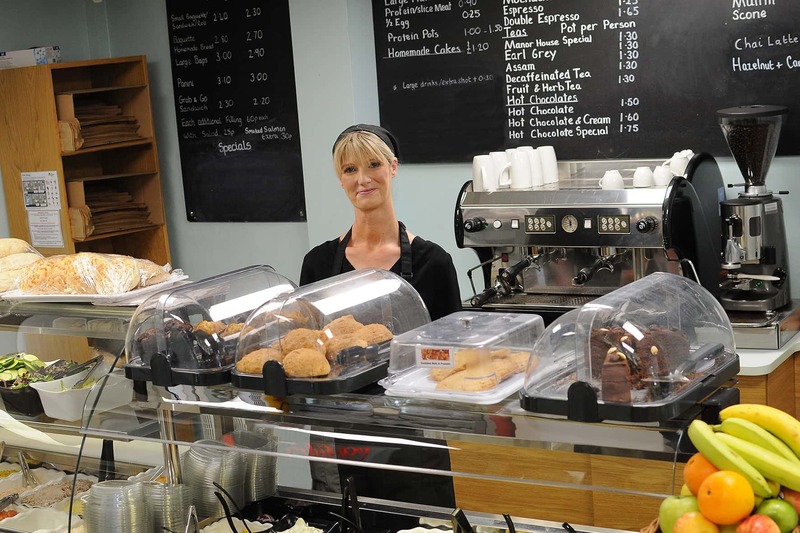 The café is open Monday to Friday from 8.30am to 4.00pm. An ATM and vending machine are located near to the shop. 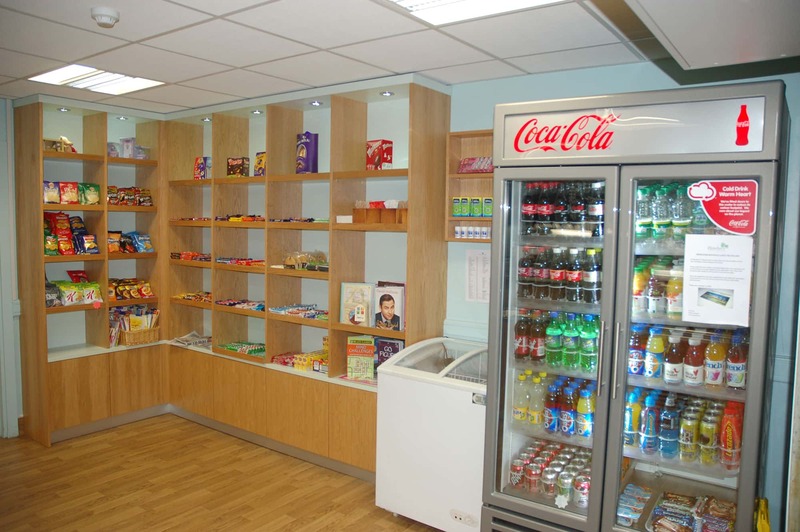 The vending machine offers a selection of confectionery, drinks and crisps.